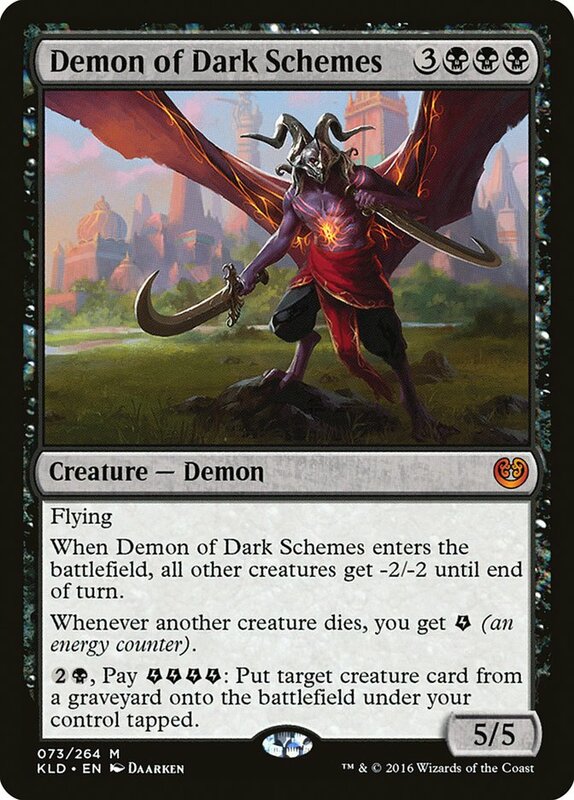 Demon of Dark Schemes at StarCityGames.com! Whenever another creature dies, you get e (an energy counter). 2B, Pay eeee: Put target creature card from a graveyard onto the battlefield under your control tapped. Whenever another creature dies, you get E(an energy counter).